Did the series get a good finale? Do you think the series got a decent finale? I don't think it got any finale. Sure the episode "through the eyes of a spiketail" is the last one listed, but with every single episode being a concluded story without any reference to preceding episodes I don't think it matters at all in which order one watches them. There was no finale. The franchise is an unfinished project. Maybe the studio had a finale in mind, but they never got to make it. Yeah I thought the show left off at a good place. Life's all about the Land Before Time. Everything we do must be related to the Land Before Time. 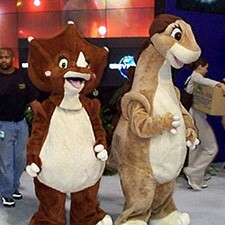 I'm gonna sleep with the Land Before Time videos. My new name is now Land Before Time. It never had a "finale". 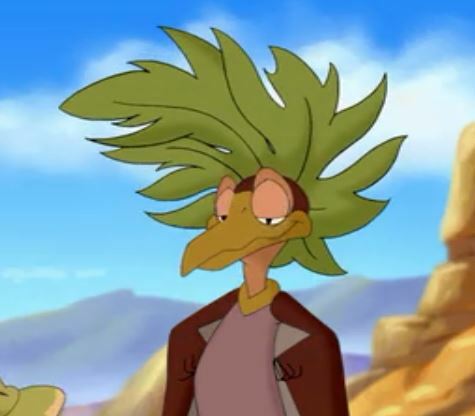 And even if it did it would probably be just as abysmal as the thirteenth movie and through the eyes of Spike. I would not want the franchise to be revived either. The first movie was supposed to be the finale because it actually had an ending that was intended to end. 1. I thought the "Great Egg Adventure" was the last one to air. 2. Some stories actually had referred back to other episodes like "The Mysterious Tooth Crisis and "The Great Egg Adventure used the smiliar "mud pool" experience. Even though, I think "Through the eyes of a Spiketail was the last episode produced, so it's intended to be the season finale. Also, it just seems a little bit more "special" than the other episodes to me. Like I said in some other topic (the 14th movie topic maybe?) The TV series was never formally cancelled. There was never any statement from Universal saying it was cancelled, or from Cartoon Network waying they weren't ordering new episodes. It's kind of like what happened to Futurama the first time it was "Cancelled". Fox just didn't order another season, and that was that. No statement or explaination for why. So yeah, the TV serieve is technically on hiatus, but it's essentially dead for all intents and purposes. I felt like "The Return to Hanging Rock" (I think thats what is was called) was the closest thing to a finale. It might have been because it was the last one I watched but I remembered when Ruby was re-united with her family she said something around the lines of the reason they were there was to find a way to stop Redclaw. When I heard that I was like: "huh? You mean there is actually supposed to be an over arcing story for this?". I remember thinking that episode was one of the better ones as well. Like others have said, I really wouldn't consider it as a final, yet I can see why others can tend to think it that way. Honestly, if not for the economic troubles, there probably would've been more episodes. I least, that's what I would think. I don't think I've actually seen the last episode of the LBT series, at least, not all the way through. I really should, sometime. Unfortunately, the show never had a finale along with the movies. Probably because kids want to see cartoons fart or get hurt rather then dinosaurs working together and being good friends. The T.V. show failed so they closed everything related to the series up, along with the movies (they failed as well) and that was unfairly the end of it. All the same, I'd like to see Red Claw defeated. What I'd like to know is why Red Claw is after Chomper. In my opinion; no, I felt like the series just stopped; it should have gone on for more episodes. Still needs to be revived. We need to know what happens to Chomper, Ruby, Red Claw, Screech, and Thud. The Great Egg Adventure was the last produced, I believe. It also seems a little more "special" than the others. BTW, is the date on this thread correct? I could swear I made it in late 2012. No, not at all.. I'm pretty sure it was cancelled wasn't it? If so, I hate when good shows don't get true finales, and they just stop. Although, you can't really do anything because it was cancelled lol . LBT TV Series Gone For Good? LBT finale final battle, what you'd like to see.